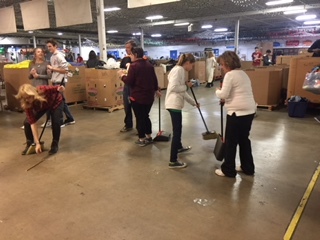 The Cincinnati CPCU Chapter hosted our latest Good Works project at Matthew 25: Ministries on Wednesday, December 20th. 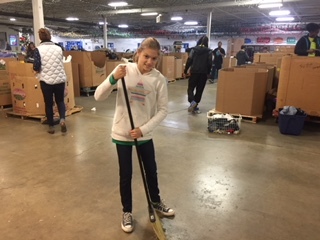 Our Chapter members and their families were in the spirit of giving their time and talents this holiday season, as we had 48 volunteers registered to participate! 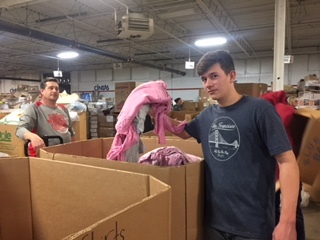 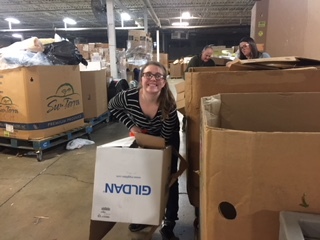 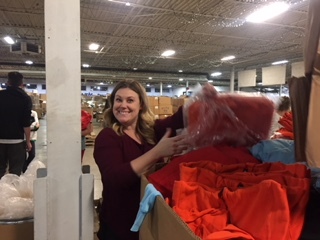 Our group was tasked with inspecting and sorting hundreds of recycled tee shirts and sweatshirts out of their original cardboard boxes. 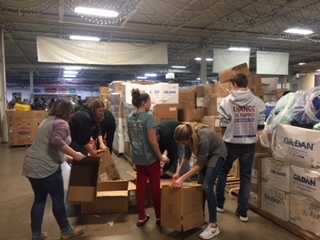 It was impressive to watch the group work in unison hauling boxes, operating pallet jacks, emptying clothing containers, and reorganizing everything in larger bins. 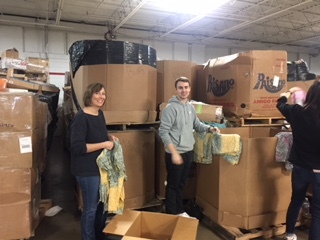 The volunteer coordinator advised that our group would be the last to touch these products before they were sent directly to an area in need as a donation. 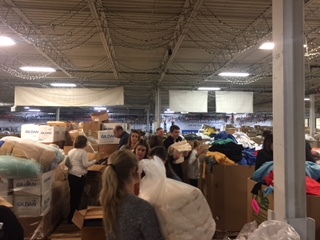 Matthew 25: Ministries is a humanitarian and disaster relief organization that provides clothing, nutritional food, water, supplies, and personal care products to impoverished or disaster-stricken areas locally and around the world. 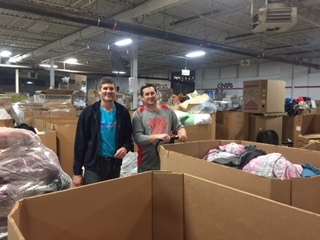 Each year, they collect and distribute over 15 million pounds of donated items to areas in critical need. 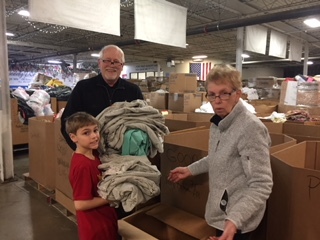 Volunteers play an essential role in the work of Matthew 25: Ministries through their help preparing goods for shipment in the warehouse. 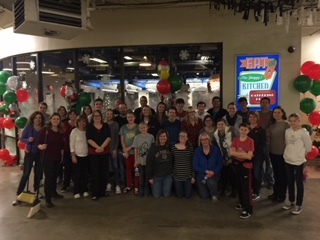 We would like to extend a sincere thank you to all volunteers taking time out of their busy holiday schedules to join us!